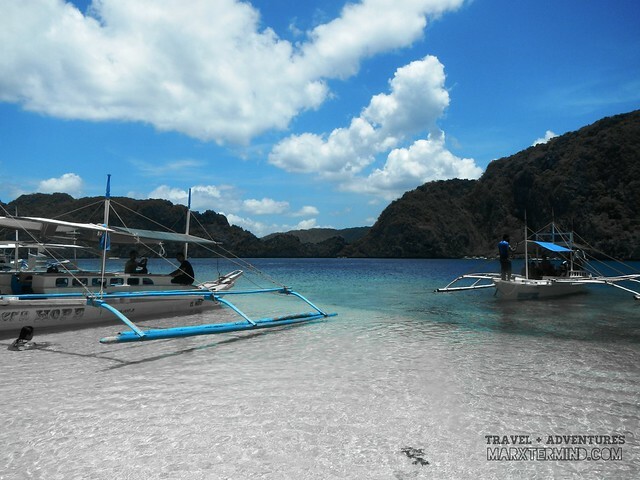 The day had finally arrived for our much awaited island hopping in El Nido. 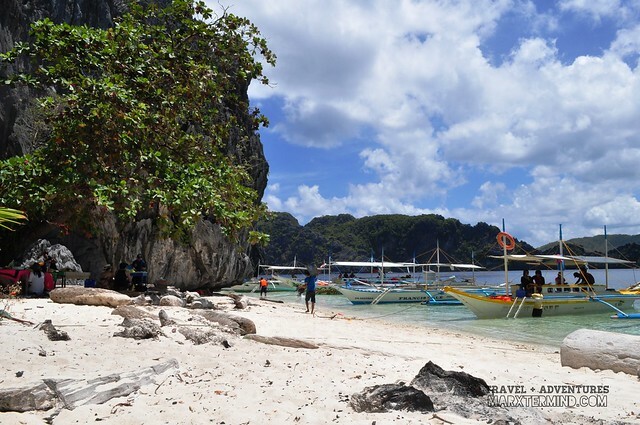 Being popular for its beautiful limestone cliffs, pristine islands and stunning beaches; El Nido is really a nice place to experience island hopping. Numerous tour agencies in town offer different options of island hopping tour. Presently, the island hopping are divided into four tours namely; Tour A, B, C and D. Each of these tours offer visits to numerous surrounding islands. These tours are unique as each one of these offers different beaches, lagoons and snorkeling spots so it’s really up to you what spots interest you. 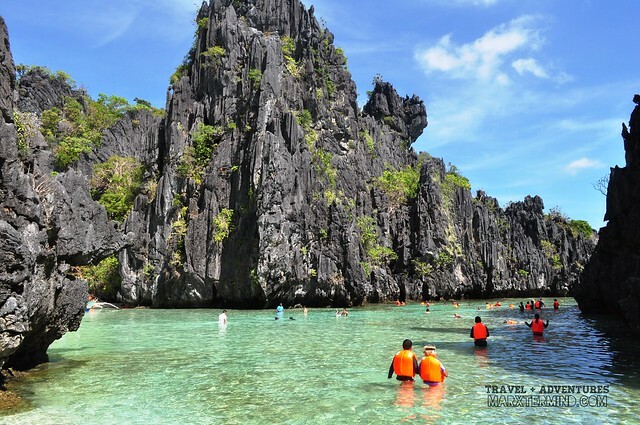 Because we only had few days for this Palawan getaway, we’ve decided to have a combination tour. 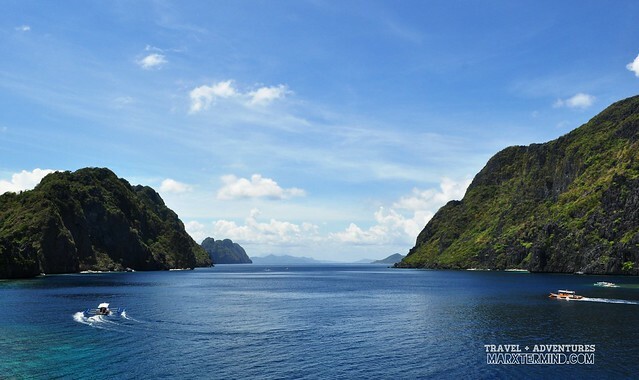 A combination tour is combining two tours from the four island hopping options that can be done in a single day. 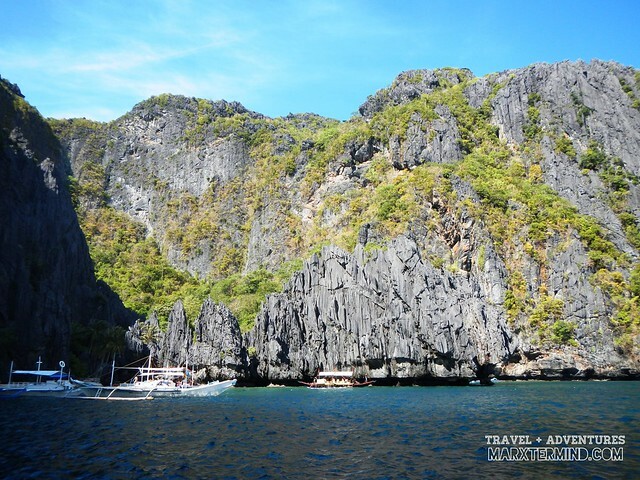 In our case, we opted to have the basic tours which are tour A & C. Combination tour is really a good option for those who will be traveling to El Nido with limited time; but trust me after visiting this place we regret staying for few days only. 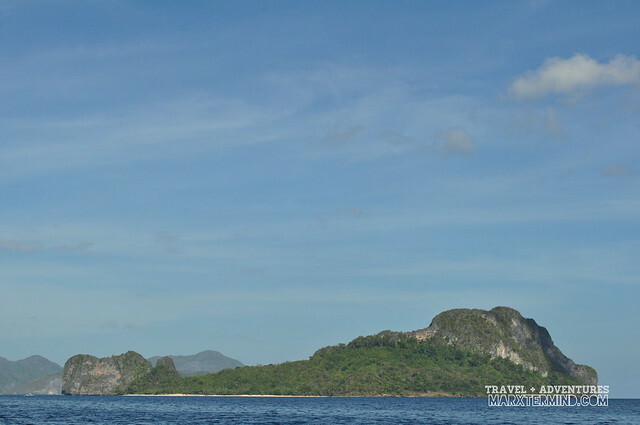 All accredited agencies in El Nido have almost all the same rate for each island hopping tours; what only varies are the inclusions or perks. Most of these set tours already include lunch and snacks but just to be safe and clear, make it clear to your agency. 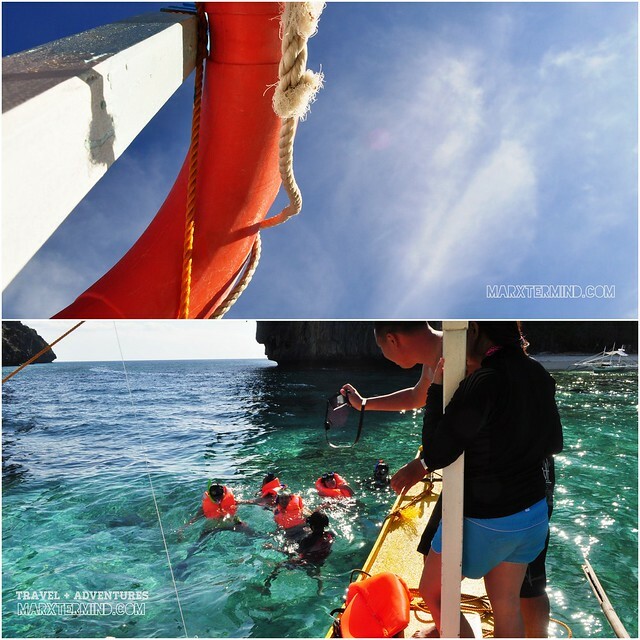 Also, some tour agencies offer free snorkeling gear; but if not you can rent it for PHP 100 to PHP 150 per day. 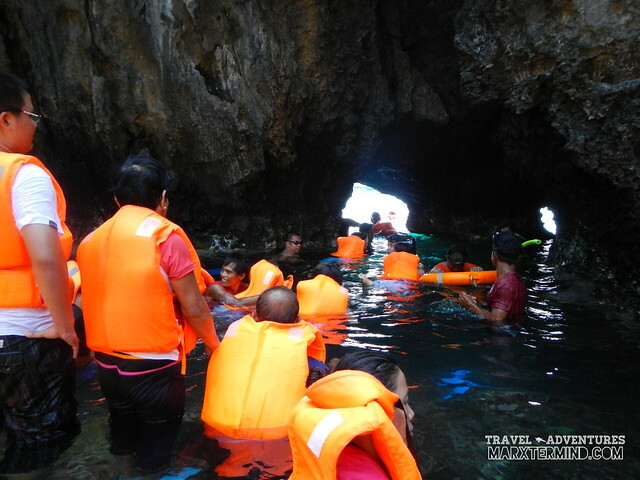 Anyway, we were scheduled to leave at 8:00 AM, earlier than the normal island hopping tours as we will be visiting more islands. Before boarding our boat, we paid our ETDF (Eco-Tourism Development Fee) first which costs PHP 200 per person for non-Palawan residents, the ticket is good for 10 days. 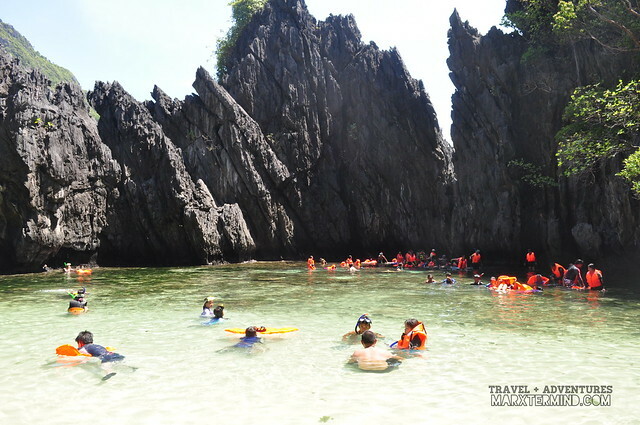 But if you’ll be staying on this place and have plans on going island hopping beyond that duration, you can pay PHP 500 for the ETDF which is valid for more than 10 days. Palawan residents also have to pay for the ETDF which costs PHP 100 per person while Palawan resident students have to pay PHP 50. Just keep the ticket if you’ll be going island hopping for multiple days. When all the participants were in the docking area already, I was surprised to see that an online friend of mine with his friends will be joining us with our tours as well. We’ve never met before until that day; but I know he lives in Palawan. In fact prior to this trip I messaged him through Facebook that I’ll be going to El Nido and maybe he could accompany us on our visit to Corong-Corong but since there’s an urgent thing happened to him on a day of our visit he wasn’t able to join us; but good thing there he was with us for an island exploration. Surprising, isn’t it? 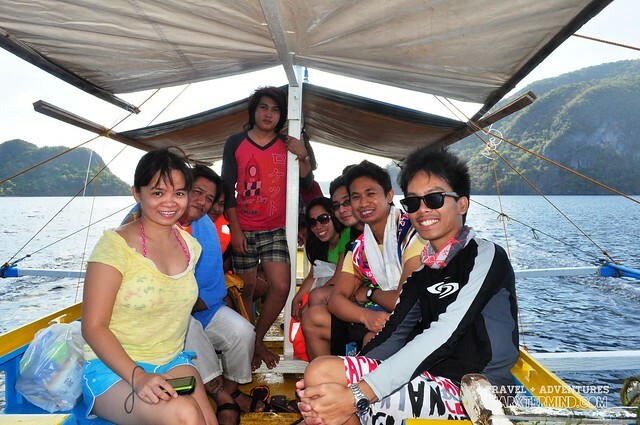 When we were all set, we then boarded the boat; left Bacuit Bay and sailed the sea getting to our first destination. 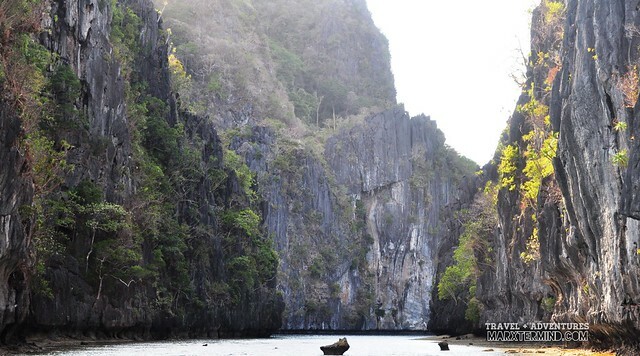 The island is named as such because its limestone cliffs resemble that of a helicopter when it is viewed from afar. Sorry but I can’t still figure out how it resemble that of a helicopter. Paula then insisted it looks like more of a Jollibee Chicken Joy. The island is also known as Dilumacad Island. It has a beautiful white sand beach stretching to some 300 meters. We were so tempted to swim but we were advised that we will be only staying here for 20 minutes. I was looking at the horizon; wondering where we’re off next. Then suddenly I saw cliff walls heading our way, we must be approaching to something hidden or secret. 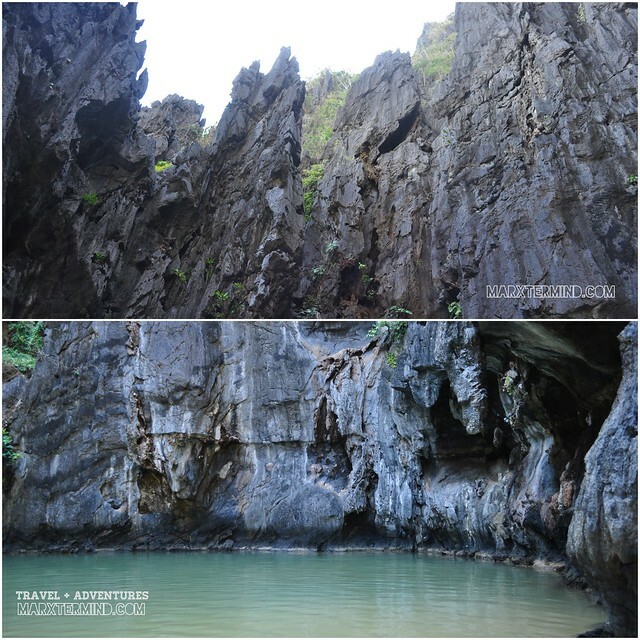 As we get nearer, a beautiful scenery of clear water and cliffs unfolded right before our eye. It is a beautiful spot hiding behind those cliff walls. Our boat then slowly sailed the water to get inside. 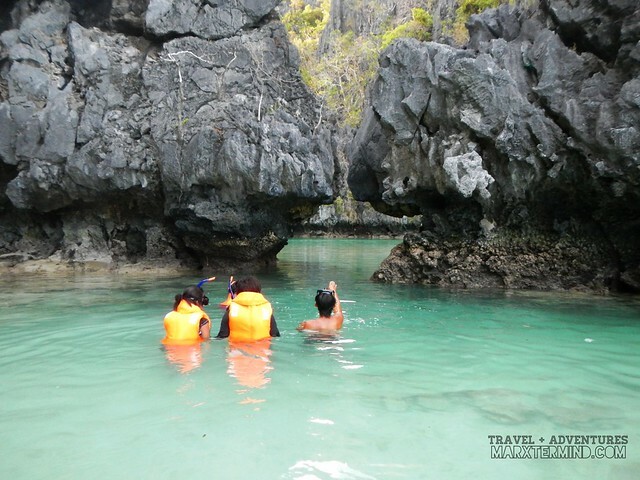 Before our boat gets to stop, a beach hiding from the limestone cliffs instantly welcomed us. We were then told that we’re in the Hidden Beach. 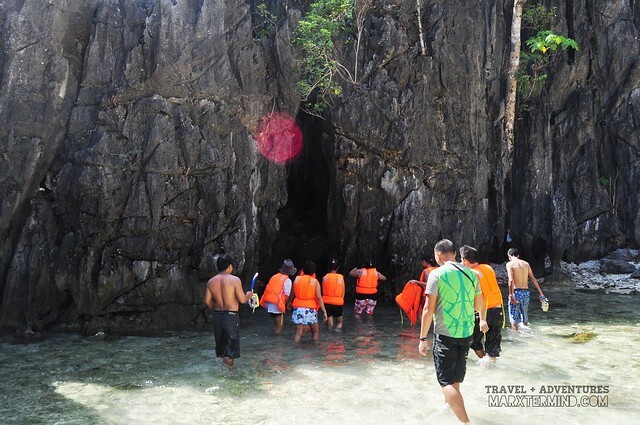 There’s a small cave or passage at the left side of the beach wherein it leads to the entry area getting to the Hidden Beach, where we were earlier. We were accompanied by our guide in getting into the area. There are rocky edges and surfaces so an aqua shoes is really needed if you’d like to explore this place. 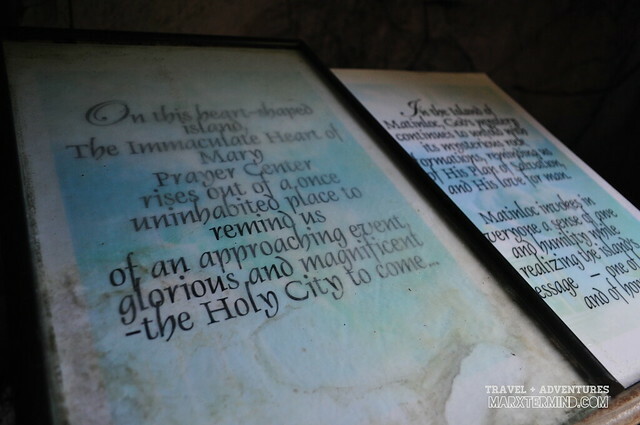 I was told that the shape of the island where the Matinloc Shrine is like a shape of a heart. But that wasn’t the information that really struck me but the history of this island. I will not go into details anymore but this island has so much history and frightening stories to tell. Unlike any other islands, this island has its own docking port. But what really stands out from this island is the view of the sea from above; climbing a limestone cliff to see such magnificent view. 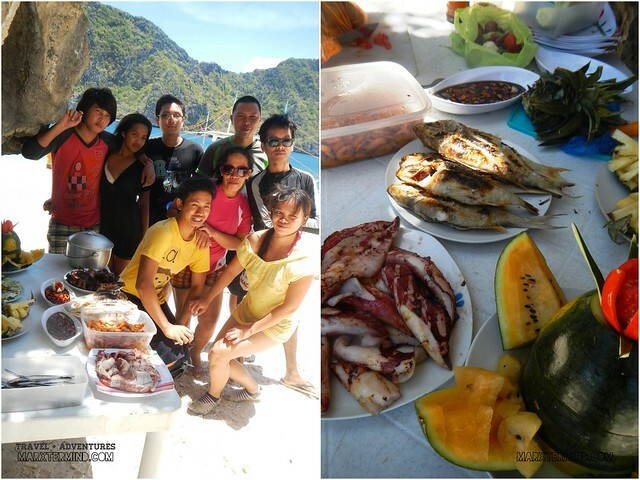 After exploring three spots in our island hopping tour, we came to the most awaited part of the tour, lunch time. 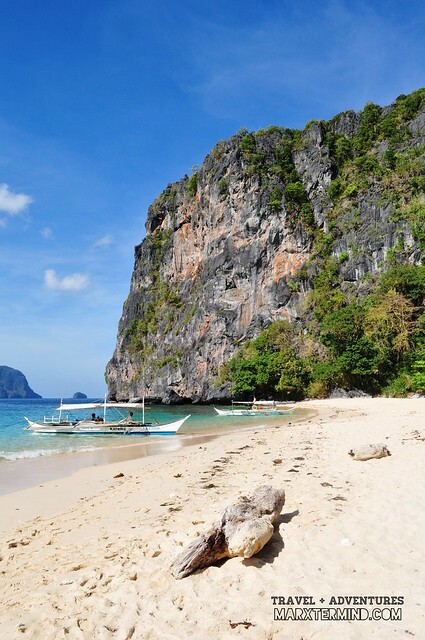 We sailed the sea and looked for a nice beach to have our picnic but it looks like all of the nicest one were already occupied so we just decided to settle at Talisay Beach. Talisay Beach wasn’t a bad choice after all despite of being too occupied because of the number of tourists having their lunch here but the beach was truly inviting. It has a white sand and clear water. So after depriving ourselves on trying the water at the Helicopter Island, we’ve decided to swim and explore the underwater from this beach. I brought out my camera and took shots of the underwater then suddenly I learned something cool about my camera. Look! Cool isn’t it? After an hour or so, we then all called for our lunch. The perks of joining a tour, you won’t have to worry about your lunch anymore. We went for a rest for awhile after eating; then we moved on to our next destination. 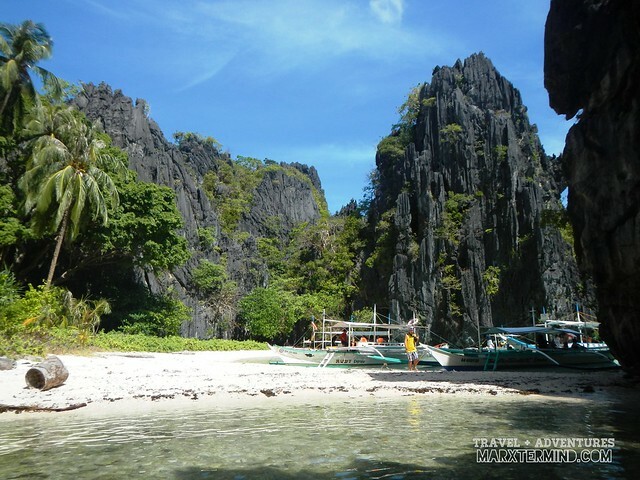 The Secret Beach might have been the inspiration of Alex Garland when he wrote his novel ‘The Beach’ when he stayed in El Nido. 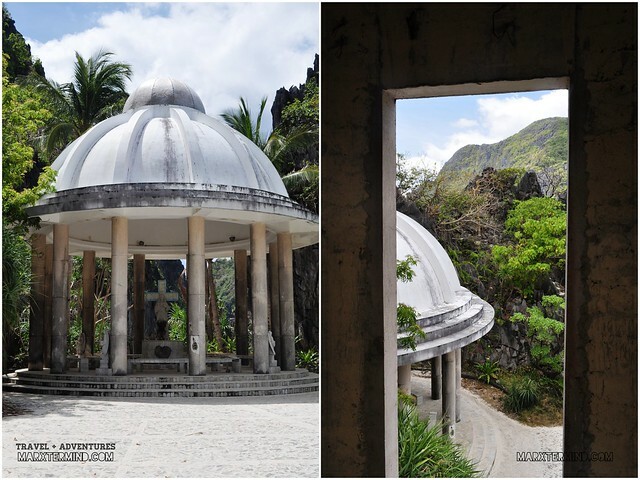 Situated at Matinloc Island, it is a paradise covered by the cliffs and is only accessible through a narrow opening. Anyone who would like to get inside has to swim through the opening. I must say it was really a struggle to get in; but once you get in, it is said a piece of paradise will behold. Well, not during our visit since the area was full of tourists. The place was mesmerizing but feels like not a paradise anymore. Whoever called this place a ‘Secret Beach’ didn’t realize that it’ll not forever hold its name. The beach isn’t a secret to anyone anymore. We only spent a couple of minutes here; did some snapshots and had a quick fun bonding with the group. Well, our struggle to get in and out of this place took much longer than our stay inside. 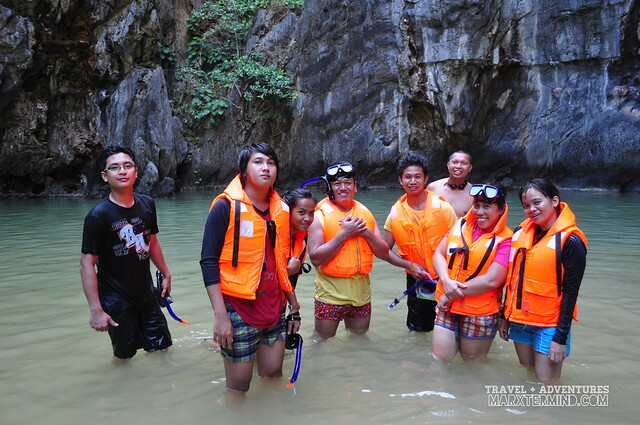 Thought everything hidden and secret has already been unveiled during our island hopping tour, we still had one more to discover, the Secret Lagoon. 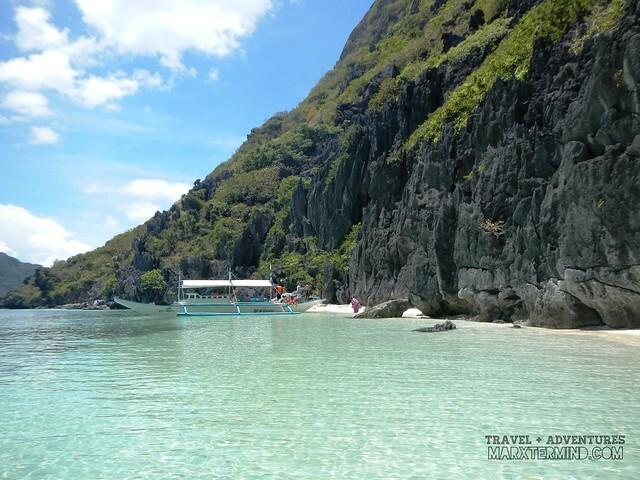 The Secret Lagoon is hidden within Miniloc island with a fine white beach and crystal clear water. Because it’s already low tide when we visited the island, the boat had to dock a little far from the shore and we had left with no choice but to struggle the sea and the current again. We access another opening again but not by swimming this time. The opening can only be accessed one by one so you have to wait for your turn. Afterwards, we went back to our boat and we were surprised that coconuts were waiting for us. Certainly, a refreshing drink perfect to get away from the salty taste we’ve been having whenever we get into the sea. If you’re fond of snorkeling and playing with fish, definitely you’ll love Shimizu Island. I don’t have plans of taking a dip into the sea anymore but the time I saw how clear the water is and the area has plenty of fish, I wasted no time and plunged into the sea. 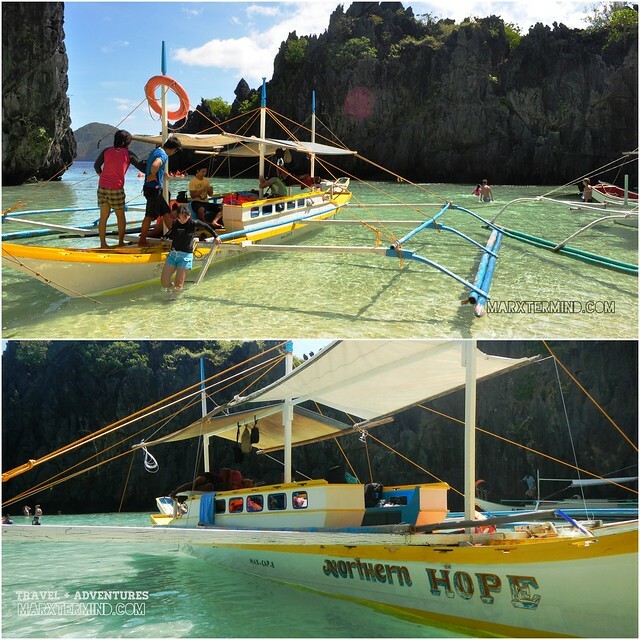 The experience in getting to the big lagoon differs depending on the tide. 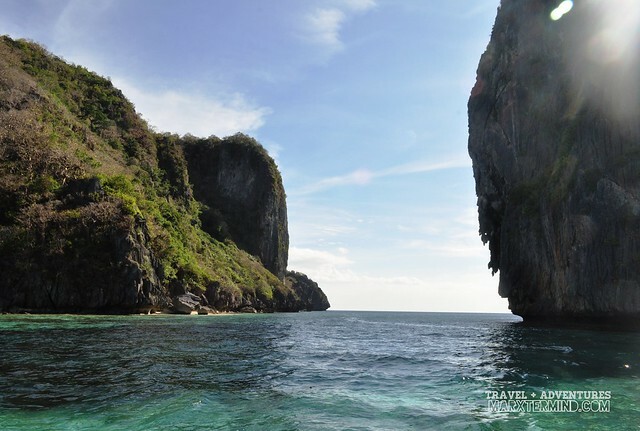 But definitely according to our friend Josiah, our visit during low tide was a great experience as we were able to walk inside the lagoon while when it’s high tide, the boat just sail inside and you’ll just have the great scenery of the cliffs and the turquoise clear water. We walked inside the bay; but one must have to be careful as sea urchins are abundant in the area. This place is said to be a great area to kayak, too. In fact, we saw a lot of tourists kayaking when we visited the lagoon. If there’s a big one, then most probably there’s a small one. Small Lagoon is located on the cove of Miniloc Island. The lagoon showcases a kaleidoscope of marine life. There are big corals that made it hard for us to reach the lagoon easily. We jumped off from our boat and had a swim and walk particularly until we reached the entry to the small lagoon. There are shallow and deep areas so if you don’t know how to swim, wearing a life vest is a must. Another struggle to get in to our destination… but it was really worth it. Our guide accompanied us for an extra treat when we went inside the small lagoon. He took us into a small pool like area inside. The water is so clear; its sea bed is white with some corals on it. The place is so quiet and placid or is it just because we’re the only tourists left in the lagoon. Anyway, too bad my camera battery got drained. I wasn’t able to capture how the place looks like. Well, the picture of it was all stored in our mind after all. We then decided to go back as we heard sounds from a whistle that seems like coming from our boatmen signaling that we have to go back already. It was a struggle going back. I was so tired from swimming and paddling. I then felt so relieved when we reached our boat. We still have one place intended to visit to, 7 Commandos, but because it’s already late we weren’t able to visit it. It’s already nearing sunset when we left the small lagoon. It’s been a long day for all of us. Tiring? Yes, but it was worth it. The fun and experiences that we had during the tour couldn’t be replaced by anything. It’s a wonderful experience, indeed. I then realized I will never get tired of exploring, especially when it is so admirable and attractive like what El Nido has. 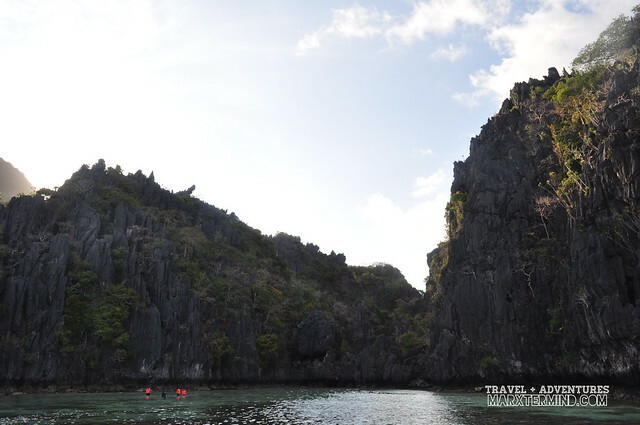 If you really have the luxury of time to explore El Nido, I advised to take the island hopping tours separately so you’ll have a sufficient time to experience the entirety of each islands, beaches and lagoons you’ll be visiting. We then sailed the sea with the sunset as our backdrop. We had finally reached Bacuit Bay around 6:30 PM. We went straight to our guesthouse; took a shower and fixed our things. After an hour, we went out and had dinner with Brenna and her Project Dora’s participants at Og’s. If you would like to have an affordable and hassle-free stay and tours in El Nido, contact Ate Neriza through her contact number provided below. 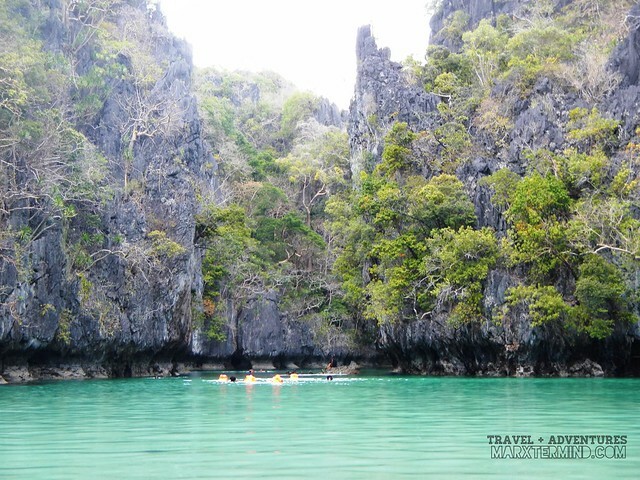 I hope you'll enjoy El Nido as much as I do. I supposed it isn't secret anymore. Walang wow factor pag madaming tao. Definitely! Our days weren't enough to explore everything. Go and don't miss visiting it anymore when come back here in PH. 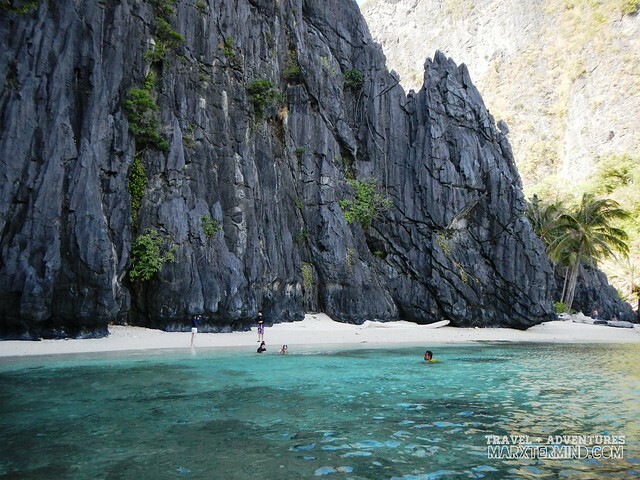 El Nido is beautiful! One day is definitely not enough! 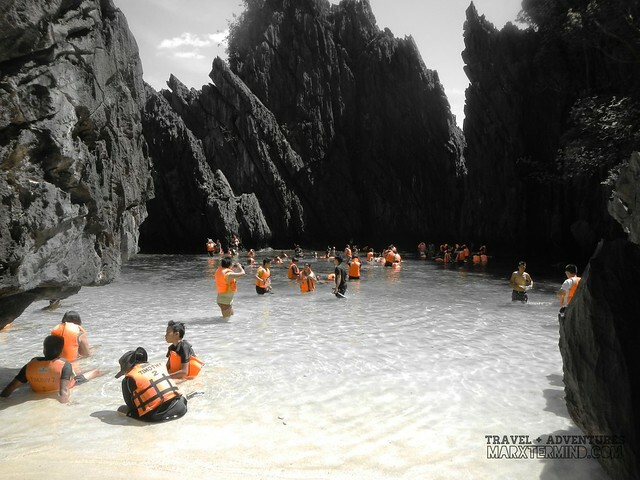 andami tao sa Secret Beach!! I love it, when I first seen it..
we were just a few tourist, and the only group to take secret beach due to Amihan. 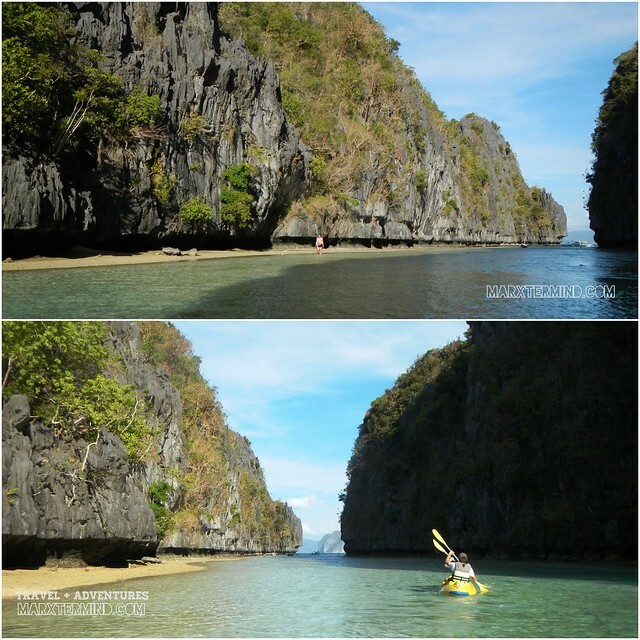 El Nido is really great with less crowd, so I always time my visit when its less visiting arround. 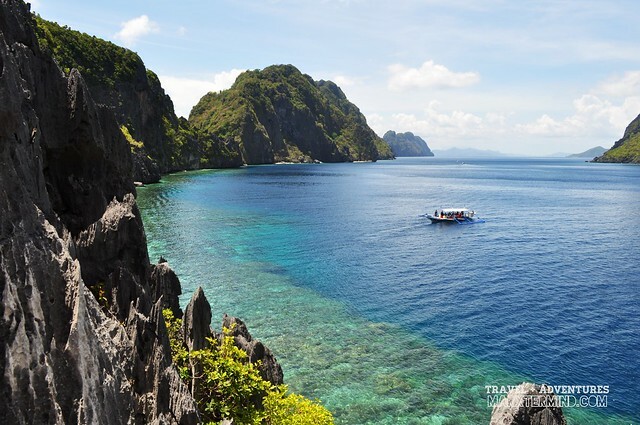 el nido is always a mystic place for me. those beautiful walls with blue waters? such a paradise. sana makapunta na rin ako nyan. at may point ka, dapat separate talaga yung tours. i wonder paano mo na remember lahat ng names ng island. magkakamukha sila actually. Yey! Lovely trip, sana 1 week tayong nandito kaka miss! 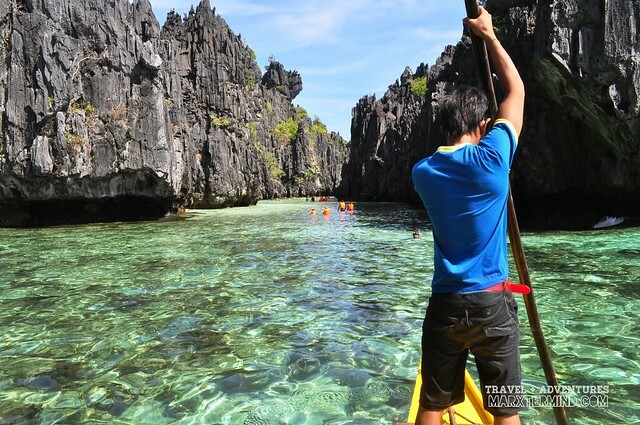 I keep asking myself why I never made it to El Nido when I had the chance. Looks like a wonderful separate universe from your photos where nothing is ever boring.